Sgt M E Croskell in his Hurricane AK-F over southern England. FLT LT J E J "JACKIE" SING, DFC. 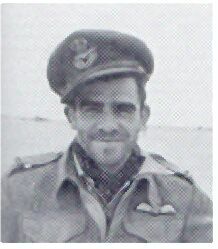 Jackie Sing was one of the original members of the Squadron, who came from 111 Squadron, when it reformed on 8 March 1937. Born in 1916, he had joined the RAF on a short service commission in October 1935. Much to his chagrin Jackie Sing was in hospital when the Squadron first went into action, so it was not until the Battle of Britain that he shot down his first enemy aircraft, by which time he had become a Flight Commander. During August and September 1940 he shot down seven and a half enemy aircraft, damaged two more and added two probables. On 22 October he was awarded the DFC. As the Squadron moved up to 13 Group in December 1940 so Jackie Sing was rested from operations and left the Squadron. George Westlake joined the Squadron at Tangmere as a Pilot Officer (P.O) in September 1940 and took over as acting C.O. in the Western Desert on 31 August 1942. During his time with the Squadron during which he destroyed nine enemy aircraft and shared two others, with one probable and three damaged, his aircraft was never hit by enemy fire either from the ground or air; a record that continued until the end of the war. At the conclusion of his tour with the Squadron, in September 1942, he was awarded the DFC. Born on 21 April 1918 in Rangoon, Burma, George Westlake joined the RAFVR in September 1937while he was a student at De Havilland's Aeronautical technical School. At the outbreak of war he was called up and posted to RAF, Ansty as an ab initio instructor. On 17 September, after attending an OUT he was posted to 43 Squadron and a week later joined 213 Squadron at Tangmere. SQN LDR G H WESTLAKE, DFC. Wilf Sizer, was born in Chelmsford on 23 February 1920, he had always wanted to fly, and he joined the Royal Air Force on a short service commission in March1938. Having completed his flying training in December 1938 he was initially posted to 17 Squadron, then in May 1939 he joined 213 Squadron at Wittering. On 17 May 1940 he flew with "B" Flight of the Squadron to Merville in France to cover the withdrawal of the BEF, from then on until 1 December 1940 neither he nor the Squadron were ever out of the front line aerial fighting. After the return to England on 20 May this involved covering the retreat from Dunkirk and the whole of the Battle of Britain, initially flying from Exeter in 10 Group and then from 7 September 1940 from Tangmere in 11 Group. During this time he destroyed six enemy aircraft and helped to destroy two others, additionally he damaged three others. On 8 November 1940 he was awarded the DFC. 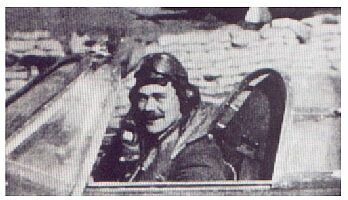 Twice during the operations over France he was shot down, on both occasions he quickly returned to England and was in action again with the Squadron in a matter of days. 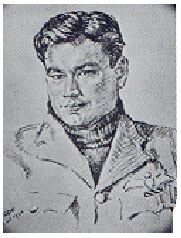 His portrait is included in Cuthbert Orde's book "The Pilots of Fighter Command." As he says in the book every squadron has a Wilf Sizer, or if it does not it should have. PLT OFF W M "Wilf" SIZER, DFC. Bert Houle was the most successful of the many Canadian pilots who flew with the Squadron during the Second World War. Born in Massey, Ontario on 24 march 1914, he graduated from the University of Toronto with a Bsc and a P. Eng in 1936. In September 1941, along with five other Canadian pilot's he joined 213 Squadron at Nicosia, Cyprus. With a short interlude as a test pilot at a Maintenance Unit in the Canal Zone, Bert remained with the Squadron until December 1942. During this time he destroyed three enemy aircraft, damaged three others had one probable and one shared. He was awarded the DFC on 27 November 1942. In December 1942 he was posted to 143 Squadron as a Flight Commander. FG OFF A U HOULE, DFC. 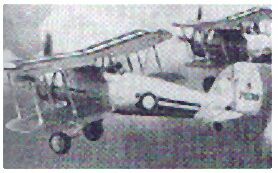 Reformed on 8 March 1937 the Squadron was initially equipped with Gloster Gauntlets, the last open cockpit fighter to see service with the RAF. From the outset however the plan was to re-equip the Squadron as soon as possible with one of the new more powerful fighters then under development. This re-equipment commenced in January 1939 when the first Hawker Hurricane Mk. Is appeared. 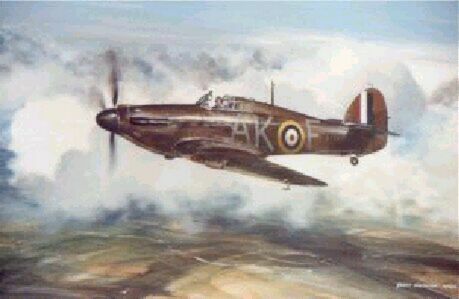 The Hurricane, perhaps more than any other aircraft, will always be associated with 213 Squadron. The Squadron operated this remarkable aircraft throughout the withdrawal of the BEF from France, over Dunkirk, throughout the Battle of Britain, and during the Syrian Campaign. Switching to the Hurricane Mk. IIc in March 1942 for the air battles over North Africa, culminating in El Alamein and then Operation Chocolate, it was finally flown on convoy protection and air defence operations until February 1944. L G 148, Sidi Azeiz, Libya. The Squadron never was a "Spitfire squadron" but for a few weeks at the beginning of 1944 it was equipped with this famous aircraft. After moving to RAF, Idku in February 1944 the Squadron was still equipped with its now very obsolete Hurricane IIcs, and was providing air cover for Alexandria and the Canal Zone to the best of its ability. The Operations Record Book is loud in its complaints concerning the poor performance of the worn out Hurricanes and their inability to catch the high flying Ju88s and Ju86s that occasionally appeared in the skies. Suddenly without any warning on February 13 eight brand new Spitfire MkIXs appeared, and in the following weeks a stream of MkVs and MkIXs continues to arrive. However no sooner was the Squadron operational with the Spitfire than it was replaced by yet another legendary World War Two fighter. 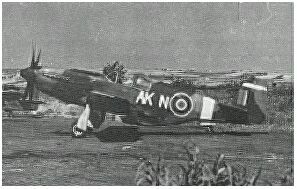 On 17th May, only some three months after re-equipping with Spitfires, again without any prior notice, two Mustang MkIIIs arrived at Idku, and the Squadron set about converting to this formidable aircraft which it would operate until the end of the war. During its time with the Balkan Air Force the Squadron flew both MarkIII and MarkIV versions of the Mustang. The MarkIV, or P-51K, was identical to the P-51D flown by the USAAF, other than for its Aeromatic propeller. The Mark III had been modified in the UK, mainly for straight fighter interception work. It had four 0.5" machine guns and some of the later versions had a very pleasant bubble canopy which replaced the standard fold over and clip-down "cottage pane" type of canopy, which was probably the worst feature of the Mustang. Later in the war the Squadron's Mustangs were also modified to carry two five hundred pound bombs. Syria, Cyprus,Egypt & The Western Desert.